National Parks at Night’s 2017 started slowly, relative to what it would become. The first few months of the year involved a lot of sitting at our home bases planning, planning and planning. But then spring came, and our itinerary revved up to a furious pace of four workshops in five weeks. 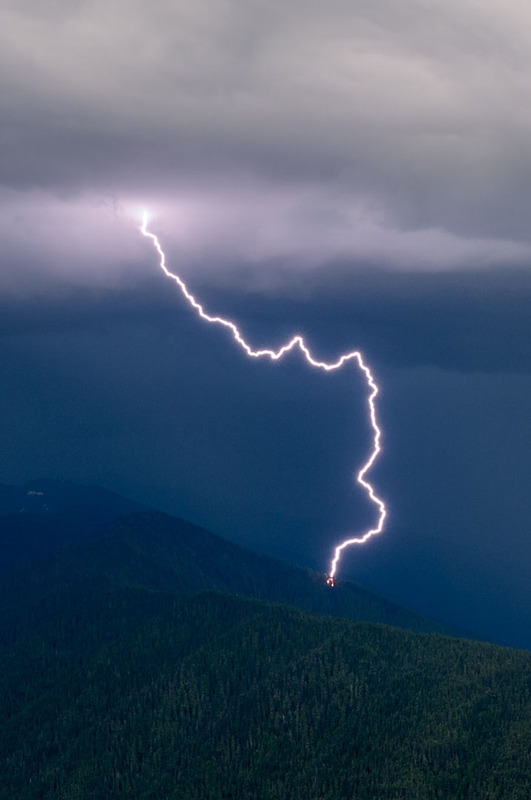 That flurry of activity was not only … well, flurrious … but also widespread, covering national parks across the United States, from the California desert to rural Ohio to coastal Massachusetts. We’re happy to now be able to report how those workshops went, which we’ll do below. 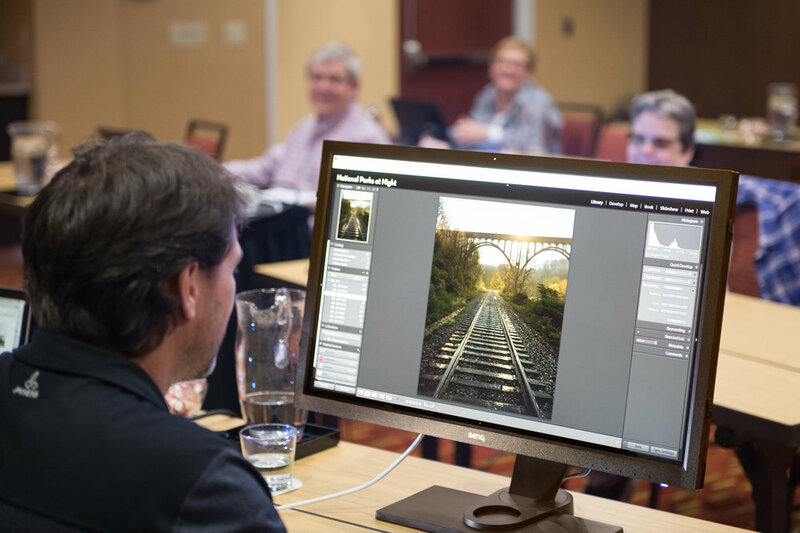 After this we’ll be moving our program into summer and fall, including four workshops that still have a few seats open: Florida’s Dry Tortugas National Park, Washington’s beautiful Olympic National Park (twice!) and California’s Eastern Sierra. To come seize the night with us and bunch of new friends, sign up today! 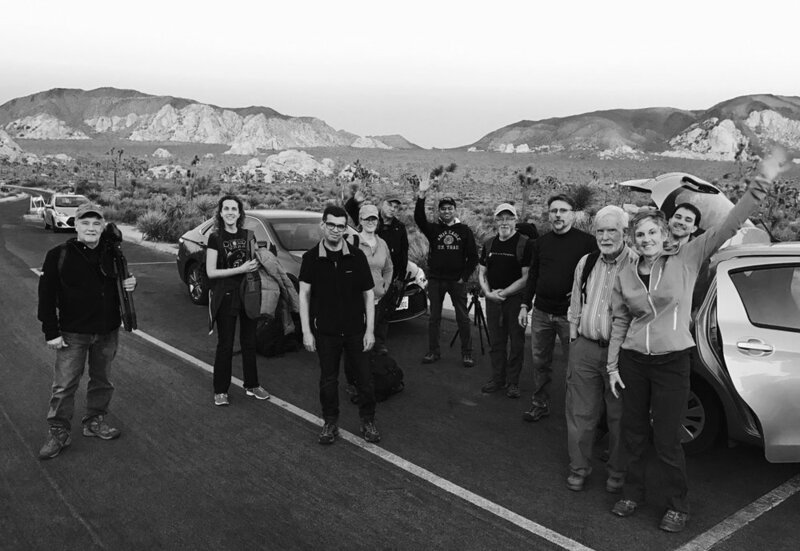 Our first two outings of the 2017 season were back-to-back Passport Series workshops at Joshua Tree National Park—our originally scheduled workshop plus an overflow week we offered due to high demand. I was an instructor on both workshops; Gabe and Chris each worked with me on one of them. 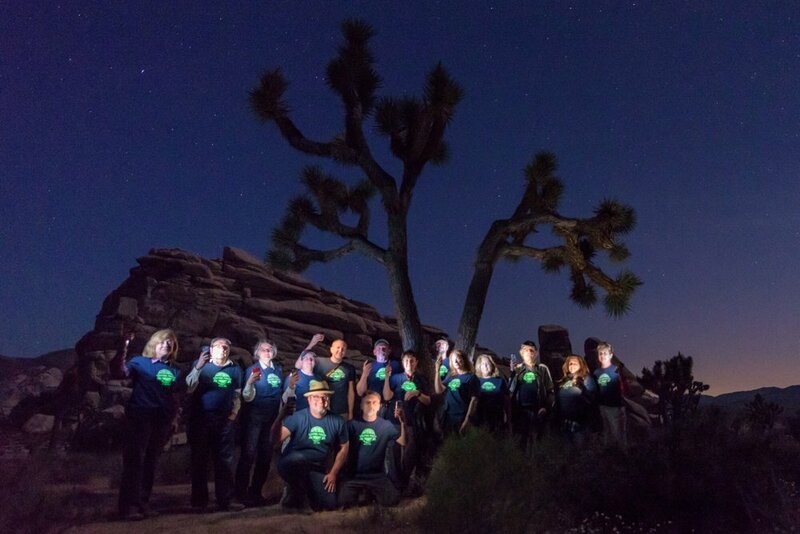 For both workshops, National Parks at Night collaborated with the Desert Institute, the educational program partner for the park. Through the Desert Institute we were able to arrange special after-hours visits to Desert Queen Ranch, also known as Keys Ranch. Normally off-limits to the public except for ranger-guided tours, Keys Ranch is a historic homestead within the park that was a spectacular location for night photography and light painting. 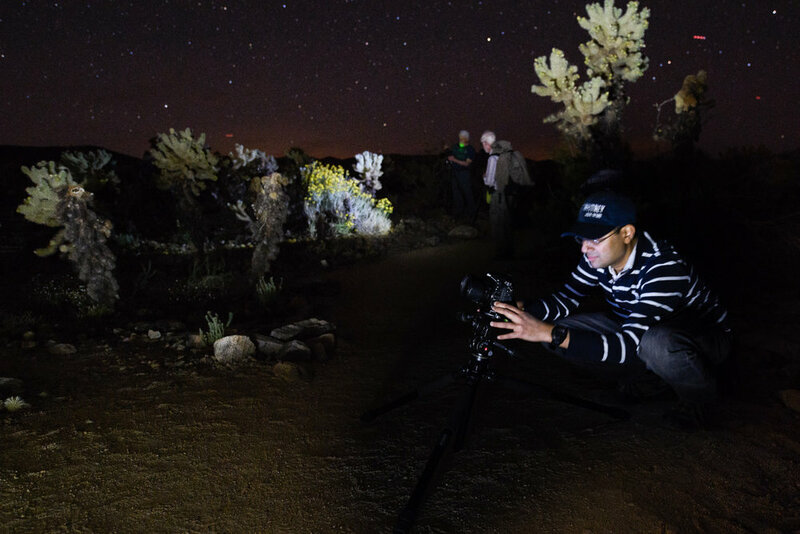 To reciprocate for that great access, in the few days off between the two workshops, Chris and I delivered a presentation on night photography in national parks at Copper Mountain Community College in the town of Joshua Tree. It was a lot of fun, as we got to talk about what we love to do, plus meet a lot of local photographers who also love the park. At first glance, Joshua Tree doesn’t offer the kind of varied scenery that many other parks do. With the exception of Keys Ranch and the remains of a few abandoned mines, the park has relatively little diversity of subject matter. It’s all about the eponymous trees, and the rocks. Fortunately though, the variations in both the Joshua trees and the rock formations are enough to keep any photographer busy for a long, long time. Moreover, we had a bonus. The rains of last winter had finally broken the California drought, and the wildflowers and cacti were in full bloom when we arrived at the park. It was spectacular. During the first workshop, we had mostly clear, dark skies with the new moon occurring on the last day. The Milky Way was rising late, around midnight each night, and the weather was unseasonably chilly. The cool temperatures kept our sensors from overheating and the noise manageable with the high ISOs required in the very dark environment. We were bundled up with multiple layers, hats and gloves! What a difference a week can make. By the second workshop, the weather had changed, and daytime temperatures climbed into the 90s, with comfortable T-shirt-weather nights. The first quarter moon occurred in the middle of the second workshop, which worked out well. By the time the moon was setting around midnight, the core of the Milky Way was rising above the horizon, giving our students the best of both worlds: We had a combination of moonlight to illuminate the landscape and complement our light painting, and dark skies to photograph the arch of the Milky Way core later in the night. In each group we had a mix of veterans and night-photography newbies, but regardless of experience level the productivity and growth we observed was exceptional. We were proud of the progress made by each and every participant in both weeks. 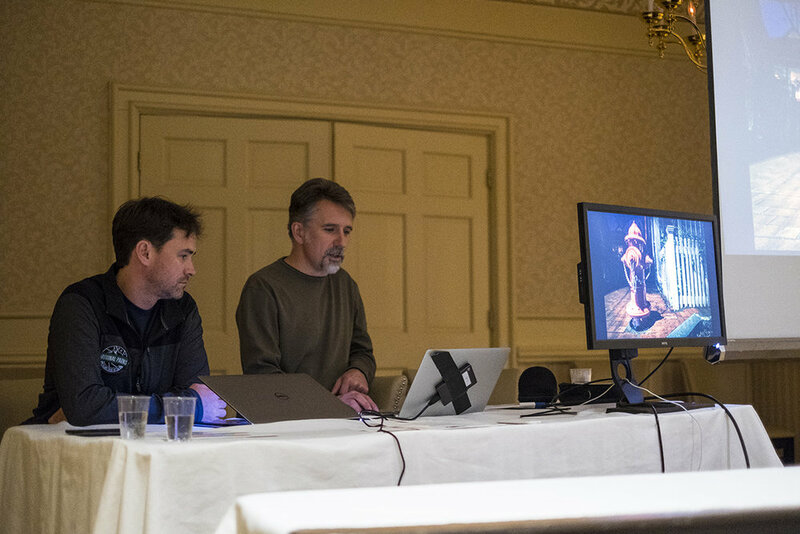 We always encourage collaboration during our workshops, as we find that the experience is amplified when people share knowledge and ideas out in the field. These two groups exemplified this collaborative spirit, which is one of the most rewarding things for us as instructors to observe. This was on full display all week during both workshops, and also at the end of each when the groups worked together on large light-painting projects (as blogged about by Chris and Gabe, respectively). There’s a National Park in Ohio? There is, and it’s a good one! Our National Park system is filled with lesser-known gems that often get overshadowed by the grand western icons such as Yosemite and Grand Canyon. Cuyahoga Valley National Park in Ohio is exactly that—a gem. 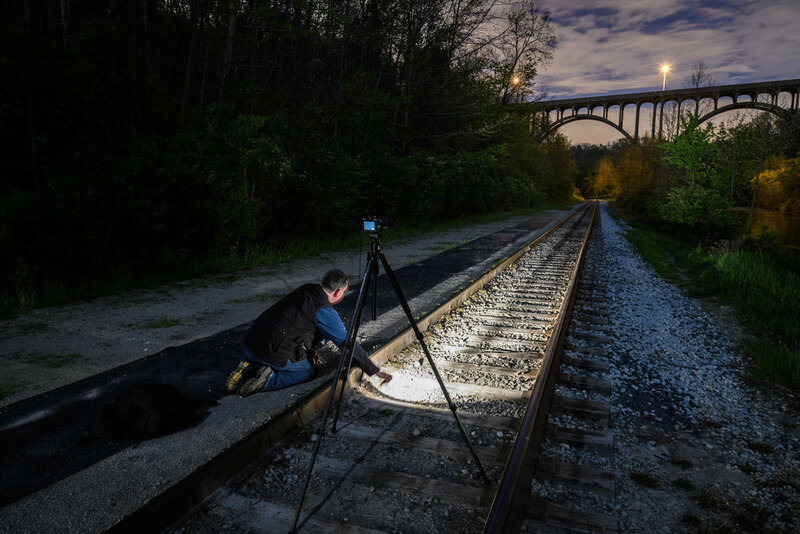 While most national parks are quite a distance from the glow of city lights, Cuyahoga Valley is somewhat unusual in its close proximity to two major metro areas: Cleveland and Akron. Urban areas like these can often produce a lot of light pollution that makes it a challenge to capture star-filled skies. Thankfully, stars are not the only thing to photograph at night! Cuyahoga Valley is filled with vestiges from the industrial revolution. Old quarries, mills, farms, bridges, train stations and tracks all dot the valley that bears the name of the hard-working Cuyahoga River. 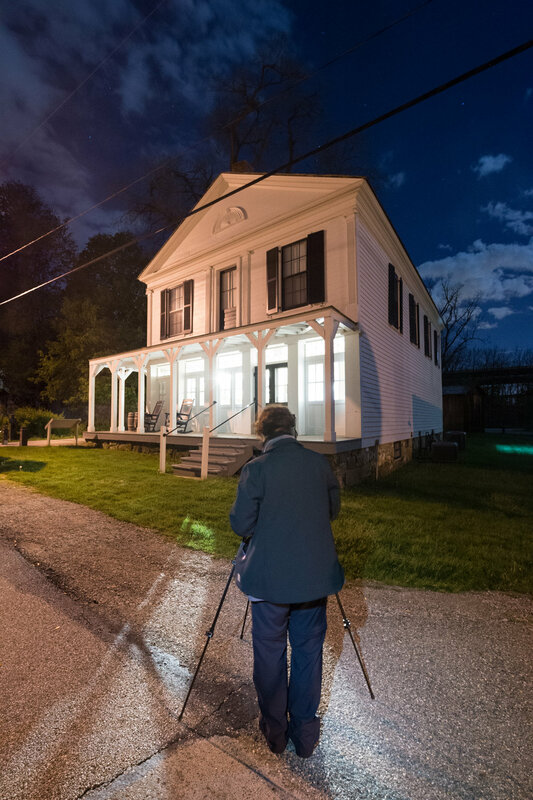 These structures provided the perfect opportunity for our workshop participants to learn and/or practice the art of light painting. The week started with light clouds and clear skies, allowing us to get our feet wet with capturing the night sky over Indigo Lake. The train station there also lured many in the class to jump right into light painting. From this point the group just took off. It was a light painting extravaganza! 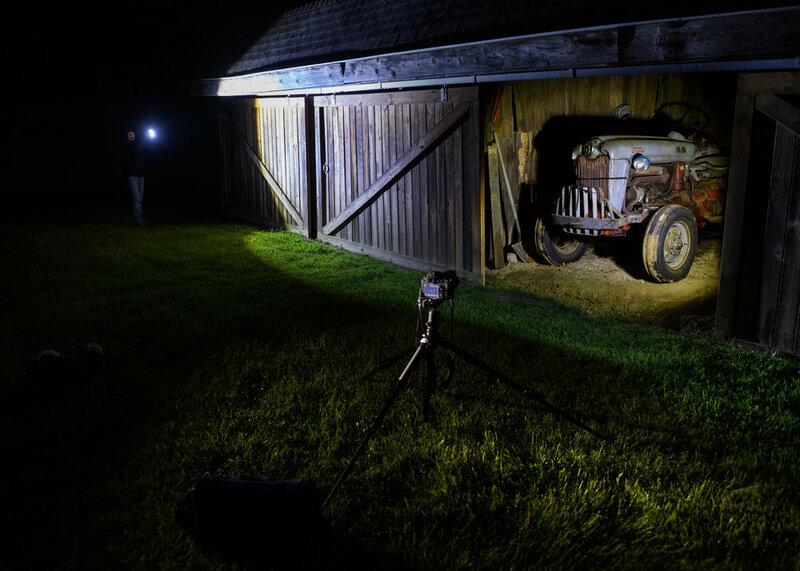 Using flashlights to illuminate a subject at night usually takes a fair amount of practice, but the participants took to it like ducks to water. Chris and I marveled how quickly everyone picked up on the techniques. The remainder of the week found us in varied locations in and around the park opening our shutters for long exposures and flashlight art. 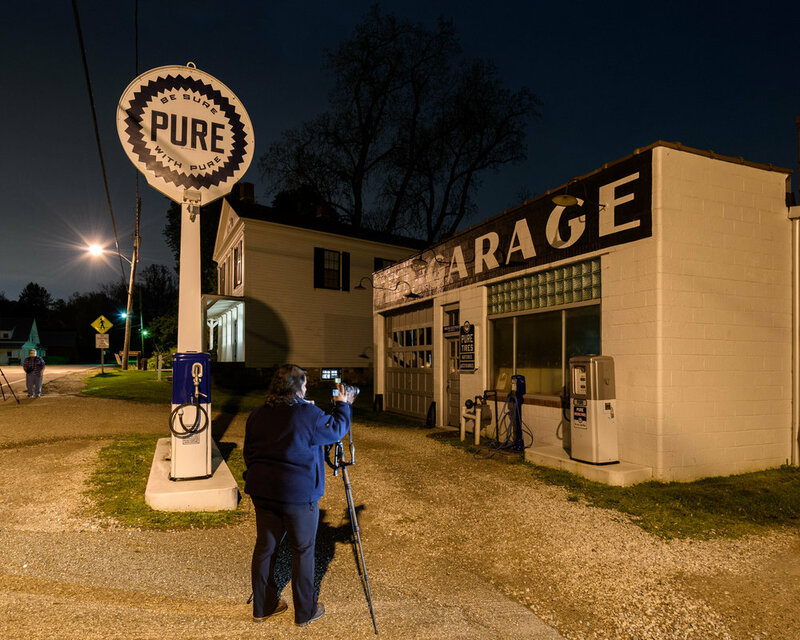 From a light-wand sword fight on the steps of a quarry wall to painting the rusted bodies of retired Volvos in a salvage yard, our participants tackled some of the most difficult scenarios in night photography. Kudos, folks! Chris and I had a great time and we thank you all for your enthusiasm and hard work! Our few days in Cape Cod marked a bit of an internal celebration for NPAN: It was our very first workshop to have lobster! ... (Just kidding. Acadia had lobster too.) ... In fact, Cape Cod was our very first Adventure Series workshop! 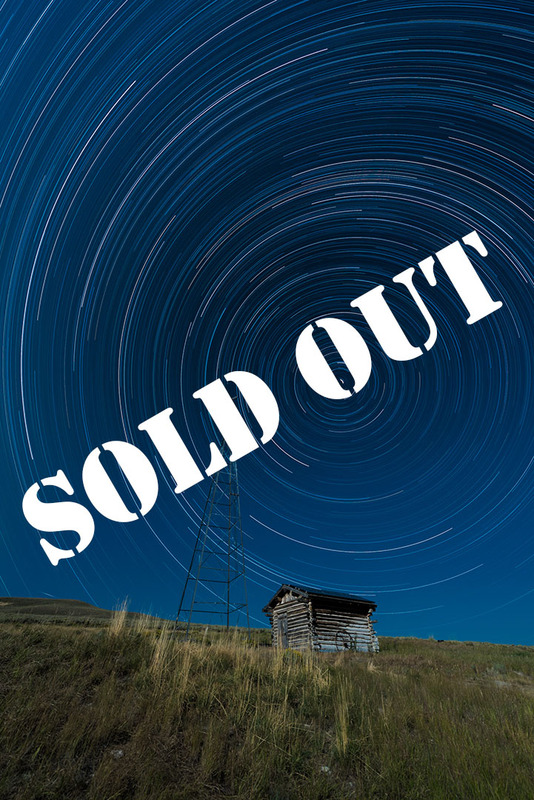 While our Passport Series events submerse attendees in the nighttime experience of a national park, our Adventure Series might bring us anywhere, and can also afford us the opportunity to work on specific night photography techniques that are pertinent to local subject matter. Cape Cod National Seashore certainly presented a prime opportunity for the latter. Unlike most of the locations we visit, Cape Cod is fertile ground for lighthouse photography, with over a dozen beacons in the area. 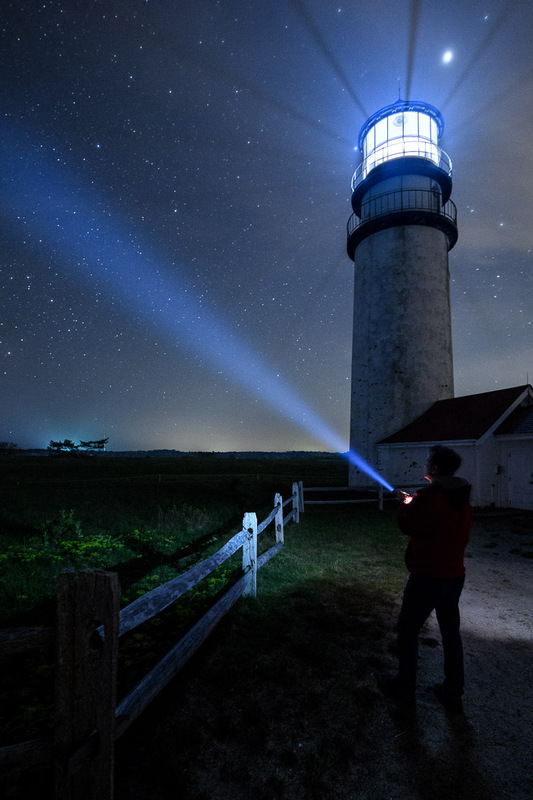 So one of our focuses was shooting lighthouses, exploring techniques such as how to photograph them at night without blowing out the lantern illumination, capturing images with multiple beams extending from the lights, and creating a beam where none might be. Also, because we were shooting in late spring, the Milky Way was arching over the Atlantic horizon, giving us a great opportunity to work on stitched panorama images of our galaxy over ocean, over sand dunes and (of course!) over lighthouses! What we couldn’t plan for was the bonus of having different weather conditions to work with, allowing the group chances to create different kinds of images each night. Our first evening out—to Nobska Light, Chatham Light and Lighthouse Beach—was mostly clear. 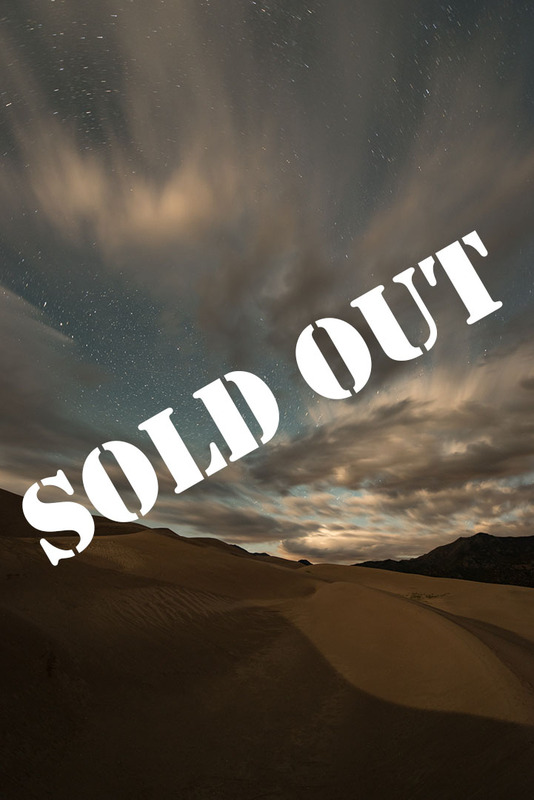 The attendees took full advantage, creating stunning Milky Way photos at the water’s edge and out amongst the dunes. Our second night out was in the rain, so we ventured to Provincetown to photograph this unique town with puddle reflections and wet pavement. Afterward we shot the cottages of North Truro and then Highland Light, all in gloriously unpleasant weather. 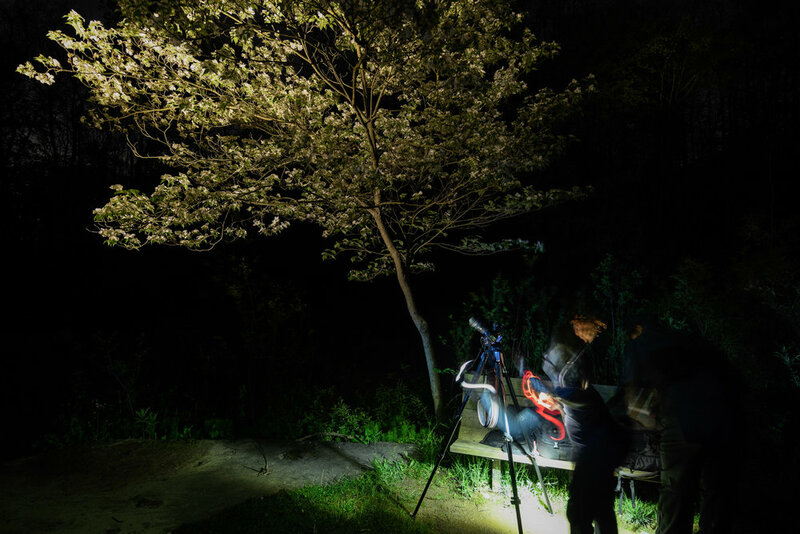 Unpleasant only for comfort, glorious for photography—which was proven not only in the group’s photographic results, but also in their willingness to stay out shooting until past midnight despite the cold spring rains. Our third night featured thin clouds, which allowed some of the strongest stars to shine through, but also picked up the colors of the sodium vapor lights of Provincetown, which many of the photographers used to awesome creative effect. For this final evening we worked at Nauset Light and Nauset Light Beach, then at the Old Harbor Life-Saving Station and Race Point Beach. In between shoots? There may have been a little lobster. Thank you for the perks, partners! Nikon sent some of the best photography gear ever made for students to use for free. The kit they shipped to each workshop included a D5, D810A, D810, D750 and D500, plus a huge selection of lenses, including the awesome 14-24mm f/2.8, 20mm f/1.8, 28mm f/1.4 and more! 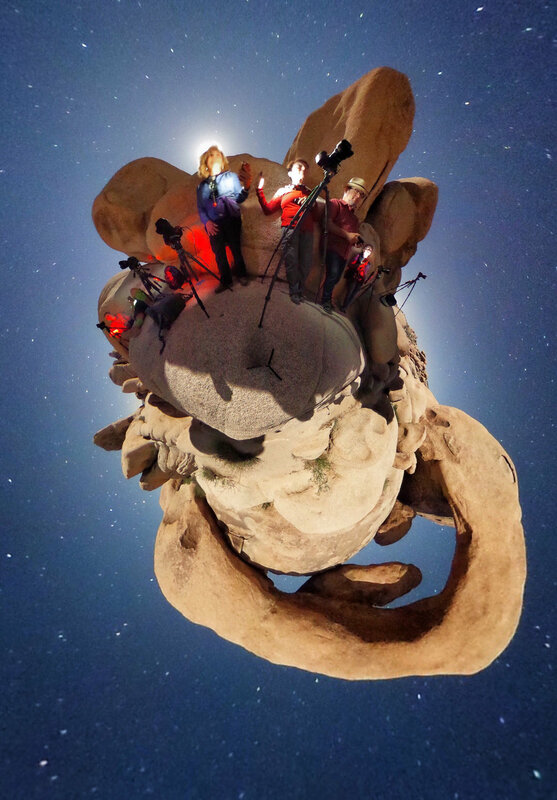 Coast sent HP1 flashlights for each person who attended our Passport Series workshops in Joshua Tree and Cuyahoga Valley to keep, and a whole kit of lights for anyone to borrow for light painting at all workshops. Our newest partner, BenQ, provided a projector for presentations and the crystal-clear SW2700PT 27-inch display for students to use while post-processing at Cuyahoga Valley and Cape Cod. Bay Photo provided free prints to award to attendees in random drawings. Last, but always first in our hearts, is a big thank you to the most important people in our program—our participants. The energy and enthusiasm they brought to the workshops cannot possibly be paralleled. 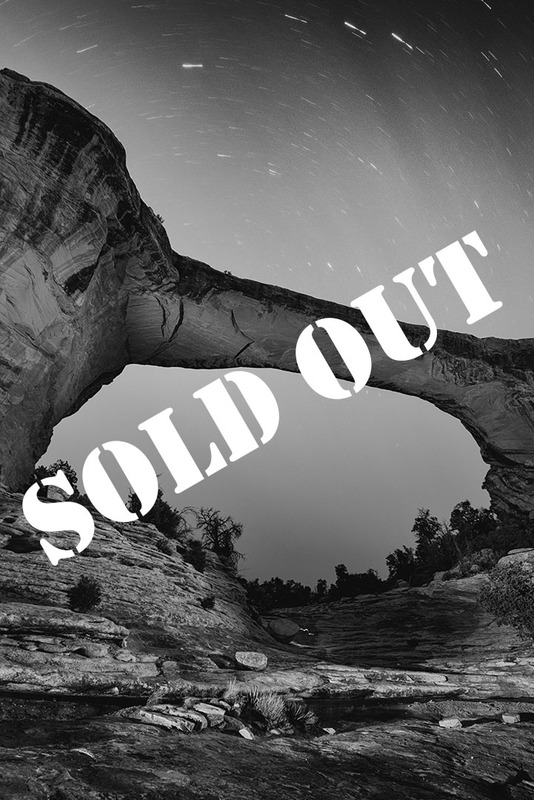 We have enjoyed working with everyone who attended our first four workshops of 2017, and look forward to those coming along on our remaining adventures in Natural Bridges and Hovenweep (sold out), Dry Tortugas, Great Sand Dunes (sold out), Centennial Valley (sold out), Westfjords (sold out), Olympic (twice!) and Eastern Sierra. 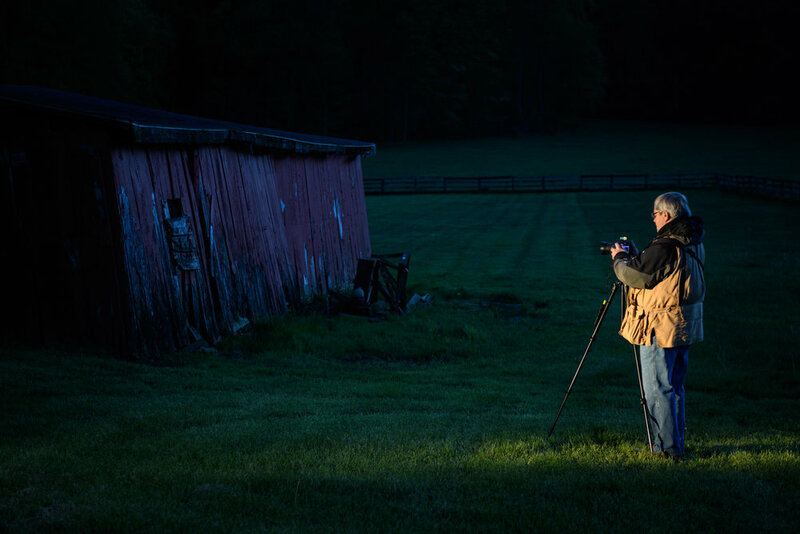 If you would like to join our participants photographing one or more of these great locations, grab one of our few remaining spots by visiting our the pages linked to above and signing up today. We will see you out there ... to seize the night! Newer PostWhich Moon Phases are Best for Different Kinds of Night Photography?